Weddings are magical in all styles and themes, but winter weddings seem to bring the magical feeling up a few notches. There are hundreds of elements associated with winter ranging from snowflakes and glittery snow to thoughts of Christmas. When planning a wedding during this season, before making or purchasing winter wedding reception centerpieces, it is important to determine which atmosphere you are going for. 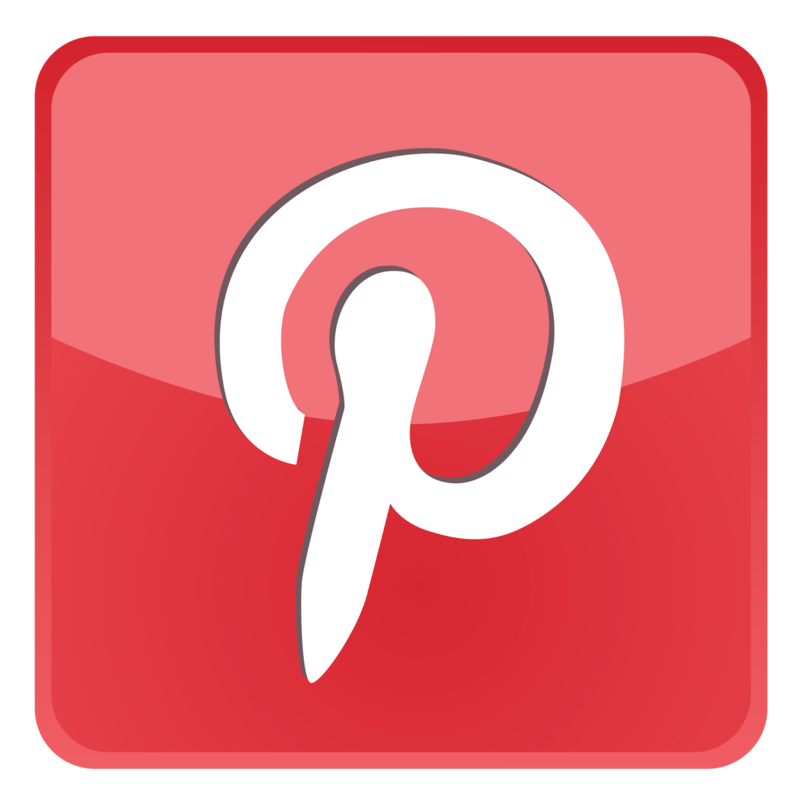 The centerpieces are typically one of the first things noticed at the reception, so they will set the mood. For an overall white winter theme, have small white lights strung throughout the reception area or use several white candles to provide a warm glow. 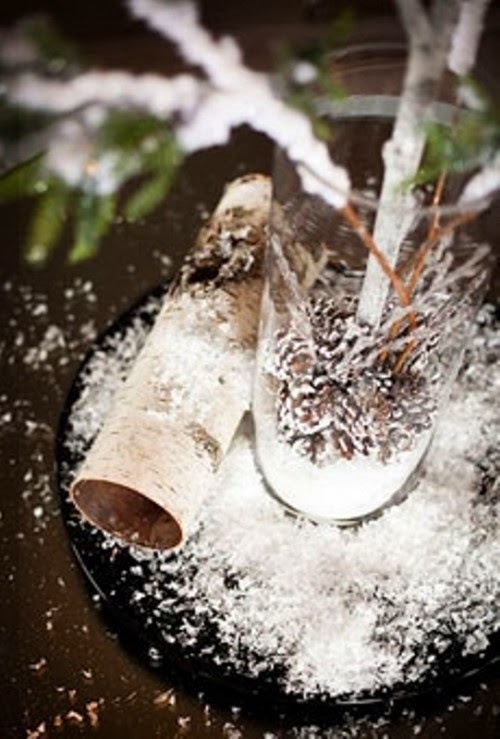 Scatter "snow" on the tables for a glittering effect and use colors such as red and white or blue and silver. If you prefer to have a Christmas effect use reds and greens, however, it is best to use these colors in combination with cream or white to break them up. 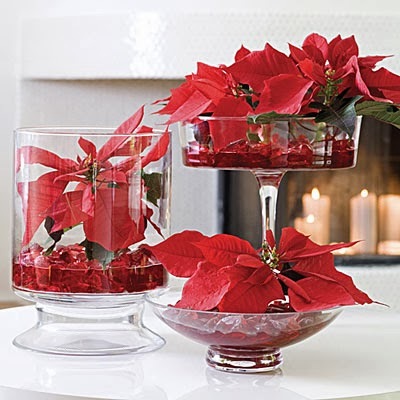 Poinsettias are gorgeous centerpieces for Christmas weddings and they are available in other colors besides red. For a great centerpiece using a poinsettia, place it on a mirror with pine cones, holly leaves and small bells surrounding the potted plant. Snow globes look great when used with poinsettias and can be placed on either side of the flowers, or purchase miniature snow globes to give the guests as wedding favors and place one beside each place setting. 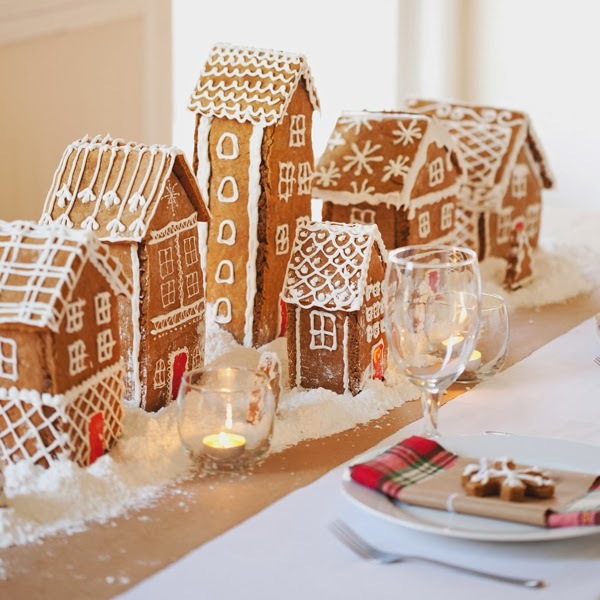 Using a gingerbread house for the centerpieces is a charming way to incorporate the wedding colors into the decorations. Use icing that is in the primary wedding colors to add snow to the roofs and outline the doors and windows. Place them in the center of the tables with lots of "snow" around the house. For wedding favors, make gingerbread men cookies, tie a ribbon in the wedding colors around the cookie and place at each place setting. For a winter wedding with a Christmas theme, wrap large empty boxes with red, green or blue wrapping paper and tie with large white bows. Center the large box on the table and surround it with smaller wrapped boxes in white paper with a bow to match the wrapping on the large box. 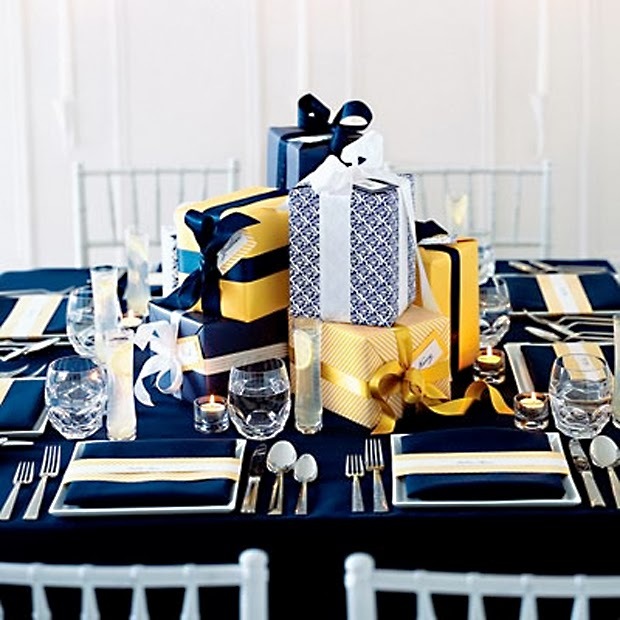 To include the wedding favors with the centerpieces, wrap the wedding favors in the smaller boxes and instruct the guests to take a present as they leave. Purchase a small pine tree for each table and decorate with miniature ornaments. The ornaments can be different on each tree or use small ball ornaments that are in the colors of the wedding. Center the tree on a "snow" covered mirror and place smaller snow covered pine trees around the larger one. Small pine trees can be found in most craft shops and would look great as the place seating markers. For a unique idea, hang small key chains on each of the pine trees used as centerpieces and instruct the guests to take an "ornament" as their wedding favor. Winter wedding reception centerpieces made from candles provide a warm glow to the whole room. 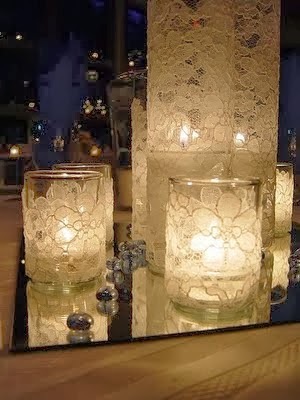 Candle centerpieces can be as simple as one large candle centered on a snow covered mirror. For elaborate table decorations, use silver candelabras with white candles and ribbon draping around the candelabra. An easy candle centerpiece can be created by placing groups of varying size white candles lengthwise on the tables or grouped together in the center with pinecones, snow, berries or grapevine wreathes.